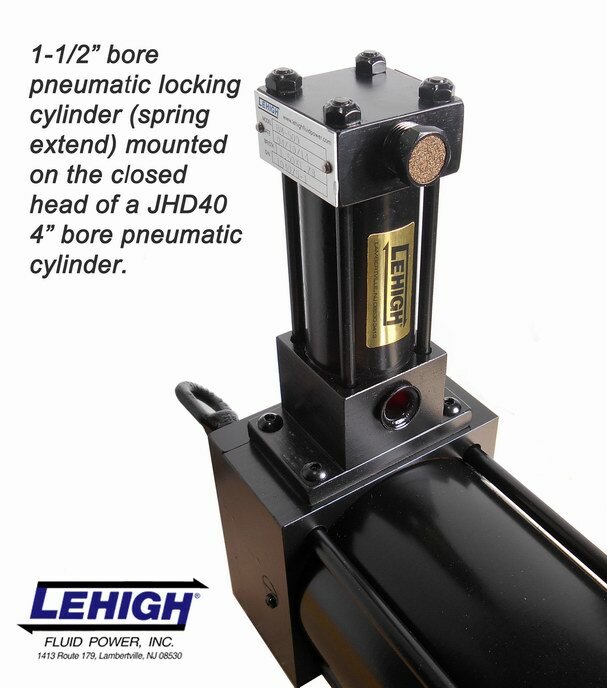 Lehigh manufactures pneumatic actuators that give the end user the ability to lock out the cylinder mechanically in the fully extended or fully retracted position. In addition, an air operated rod lock can be added to the cylinder to clamp the piston rod in any place along the stroke. The mechanical locks are often used in the valve industry when the user needs to be able to lock out a valve rather than resorting to tag out procedures. Lehigh offers three separate integral lockout designs as well as a pneumatic rod lock option. 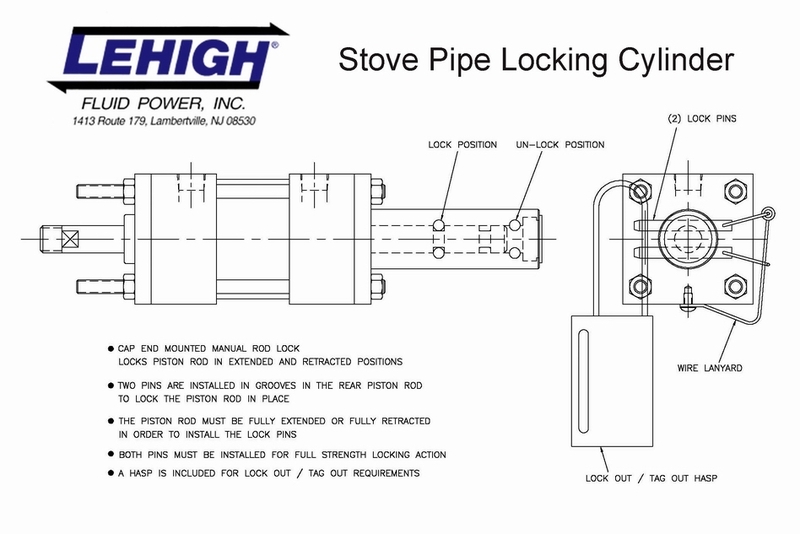 The stove pipe lock out is ideally suited for applications that have a shorter stroke because it requires the actuator to have a double rod end. One end of the piston rod is used to actuate the valve as normal while the other end contains two sets of holes for the locking pins. This design lets the user lock the valve in the fully open or fully closed position and insert a hasp to conform to lockout procedures. This is an elegant, simple and cost effective way to offer a lockout option. The manual lever locking cylinder is ideally suited for a valve that needs to be locked either fully extended or fully retracted. The advantage of the manual lever lock over the stove pipe design is that it does not require the actuator to be double rod end, therefor is perfectly suited for long stroke cylinders where the additional room may not be available for the stove pipe deign. 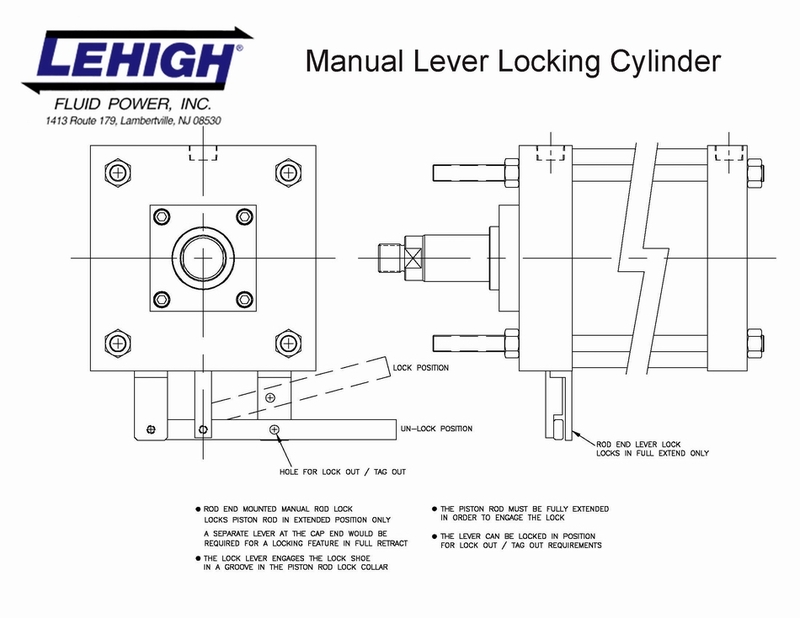 The manual lever locking cylinder employs a lock shoe and boss design with a lever arm used to capture the boss, locking the cylinder into the fully open or fully closed position. Once the arm is in the closed position, a padlock may be used to lock the arm in place fulfilling the lockout requirement. 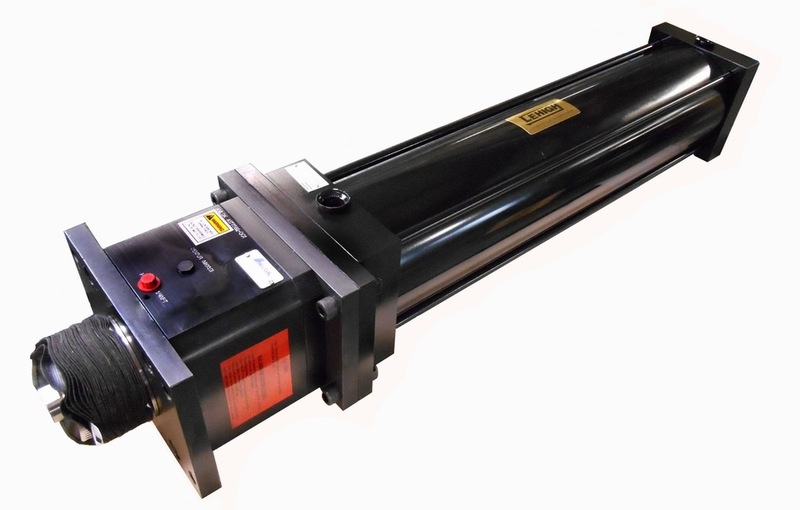 The automatic locking cylinder has the same internal design as the manual lever lock, except rather than close the locking apparatus manually it is accomplished by integrating a small bore spring extend pneumatic cylinder. When air is applied to the small bore cylinder it releases the locking mechanism. The air operated rod lock is a spring loaded collet mechanism that bolts to the cylinder. Compressed air is required to release the lock, allowing the cylinder to stroke. The type of lock will hold the piston rod at any point in the stroke. Careful attention must be paid to the maximum load rating of the lock mechanism. Locking mechanisms are also available with a manual release feature.